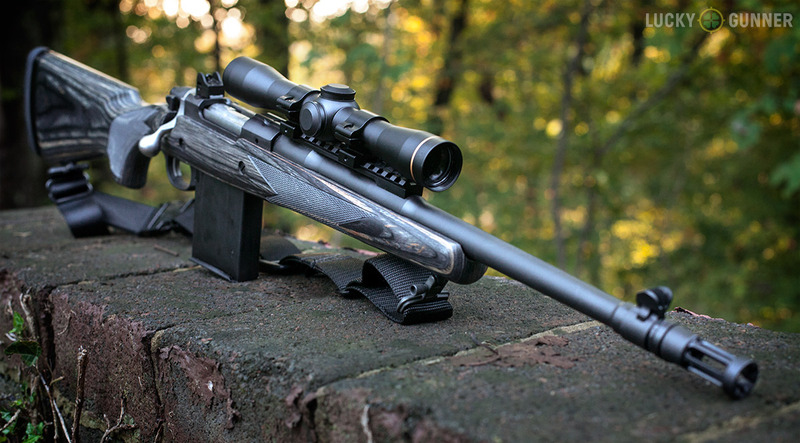 Recently, I’ve been working on a review of a couple of rifles, including the new .223/5.56 version of the Ruger Gunsite Scout Rifle. I’ve already seen a lot of griping online about this gun, in particular the fact that a rifle firing such a small cartridge doesn’t meet the definition of a “true” scout rifle. So I thought this would be a good opportunity to take a step back and look at the scout rifle concept; where it came from, what it’s intended to do, and whether it’s still relevant for today’s shooters. At its core, the so-called “scout rifle” is simply the name that one man assigned to his personal ideal of the general purpose “do-everything” rifle. It just so happens that man was the late Col. Jeff Cooper, one of the 20th century’s most influential and authoritative voices in the shooting and self-defense world. If that name isn’t familiar to you, go read his Wikipedia page to get an idea of the impact Cooper has had on the way we still think about and train with firearms today. Cooper’s influence runs deep in the shooting world, so when he started writing about his general purpose dream rifle, shooters took note. The new .223/5.56 version of the Ruger Gunsite Scout has raised some eyebrows for bearing the “Scout” name while using a caliber Cooper was critical of. When Cooper was really promoting the scout rifle idea back in the early 80s, the only way to actually get your hands on one was to make one yourself, or commission an expensive custom job. Eventually, a few gun companies started offering factory rifles branded with the “scout rifle” name, and some meet Cooper’s criteria better than others. The scouts generally accepted as being closest to the real thing are the Steyr Mannlicher Scout, the Savage Scout (based on their Model 10), and the Ruger Gunsite Scout (based on their Model 77). Cooper collaborated with Steyr on their version of the scout, and while it didn’t quite meet every detail of his original checklist, it seemed to be close enough to get his stamp of approval. There was no single definitive manufacturer or model that was preferred for custom scout conversions. As long as the bolt action was smooth and reliable, it could be made to work. Semi-auto rifles were not specifically disallowed, but very few, if any, make the weight requirement. There was a definite preference for rifles on the lighter end of the spectrum. Cooper intended for the rifle to be carried across long distances. This shorter barrel length might not sound too unusual today (18″ and 20″ bolt guns are quite common now), but carbines were not generally looked upon favorably just a couple of decades ago. An appreciation for shorter barreled rifles may be one of Cooper’s best contributions to come out of the scout rifle concept. Mounting the optic forward of the action allowed the use of stripper clips and quick single-round loading. It also allows the shooter to keep both eyes open and maintain awareness of the immediate surroundings while firing. In some accounts, Cooper considers conventionally mounted scopes acceptable, as long as they’re low power (no greater than 4x) with fixed magnification. Backup iron sights were recommended, but not an absolute requirement. When present, the large ghost ring aperture was the preferred style. Cooper preferred the Ching Sling, but any sling that could be looped up quickly for supported shooting was considered acceptable. The bi-pod was more of a luxury than anything, and very few rifles could pull it off without adding considerable weight and bulk. The scout rifle had to be able to take down any threat up to 1000 lbs with a single shot, using a caliber that was widely available worldwide. Cooper also liked the 7mm-08 cartridge for countries where governments restricted civilian ownership of military calibers. The smaller .243 Win cartridge was considered acceptable for smaller shooters, and larger calibers like the .350 Rem were prescribed for anyone who thought they might encounter dangerous large game. The standard for measuring accuracy was three-shot groups under 4 inches at 200 yards. 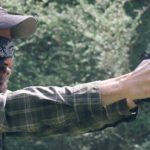 Looking at the list today, there are some attractive features to have in a rifle, but there are some serious drawbacks to the concept as well. The problem with any tool that purports to be “general purpose” is that it’s probably not going to excel in any one area. The scout might be versatile, but it’s also a rifle of compromises. Let’s start with the signature forward-mounted scope. They have some advantages, but are pretty lousy in low light, and can be rendered useless by glare when the sun is low in the sky… which just happens to be prime time for hunting many types of game. They also tend to throw off the balance of a rifle, putting too much weight at the front. Rifles that are close to being scouts but miss some key criteria are sometimes called “pseudo-scouts”. My CZ 527 carbine chambered in 7.62×39 is a good example. It’s a quick-handling versatile bolt gun, but lacks a forward mounted scope and doesn’t hit hard enough to be a true scout. Red dot/reflex sights, which weren’t widely available when Cooper came up with these criteria, are arguably faster than a scout scope, and have better low light performance. And a conventionally mounted low-power scope has most of the same advantages of the scout setup with fewer downsides. Since today’s variable powered scopes are far better than those available in the past, we shouldn’t limit a general purpose rifle to fixed power scopes, either. I think if Cooper could have seen a modern 1-4x scope with illuminated reticle in 1980, he would have appreciated the advantages it offers over what we now call the scout scope. The 2 MOA accuracy requirement certainly dates Cooper’s writing. Any new off the shelf centerfire bolt gun today that’s not mechanically capable of four inch groups at 200 yards should be sent back to the factory for warranty repair. By today’s standards, there’s nothing inherent in Cooper’s criteria that would make a scout rifle inaccurate, but factory-made scouts aren’t built with accuracy as the main priority, and shooters seeking maximum precision should look elsewhere. Today, most scout or scout-like rifles available use detachable box magazines, which many people find cumbersome and make the rifle more difficult to carry. Rifles using stripper clips are few and far between, unless you look to pre-1950 retired military rifles. I personally really appreciate light weight, quick handling rifles, but they usually come with drawbacks, too. 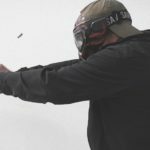 The most obvious is an increase in felt recoil, but accuracy can also suffer when using slim-profile lightweight barrels. And let’s not forget the most limiting drawback of all: in order to meet the weight requirement, most scouts are bolt actions. Bolt guns are good at a lot of things, but leave much to be desired when it comes to personal protection from human threats. Before the Cooper fans out there get too worked up, I’m not saying the good Colonel didn’t know what he was talking about when he came up with the scout. But we have to ask whose “general purposes” this rifle is intended to meet, and what options we now have available to meet those purposes. Those purposes aren’t what Cooper had in mind for the scout rifle. Cooper’s image of the user of his scout rifle doesn’t have a lifestyle that looks anything like mine, and probably doesn’t look much like yours, either. Cooper often wrote with romantic flair about the lone rifleman facing the unknown. The scout seems best suited for someone who was living 100 years before Cooper’s time — taming the Western frontier or exploring the unknown corners of the African continent. However, in a modern context, there are few who’s “general purposes” are met by the scout rifle concept except, perhaps, for a serious hunter who takes extended trips into the wilderness where he is unsure of what type of terrain and conditions he may face. But “serious hunters” are in rare supply these days, and most of them are not apt to settle for a general purpose rifle when a more specialized one is available. For these purposes, considering the hardware available in the 80s, Cooper’s scout would be a fantastic tool. But it’s common to find attempts to shoe-horn the scout, as defined by Cooper, into roles that it was never intended to fill. If we take a cold, hard look at the place of the scout rifle in the modern world, it’s essentially a decent hunting rifle with some features that make it better suited for dangerous game, prolonged trips in the field, and about as good for protection from two-legged predators as a bolt gun can be. According to NSSF research, the overlap between avid shooters and avid hunters is declining. Some shooters hunt and some hunters shoot, but most people pick one or the other. When the guy or girl we would consider a shooting enthusiast goes looking for a “general purpose” rifle, hunting is going to be a secondary consideration at best. They want a rifle they can use to protect their home and family, and hone their skills on the range. Sure, you could use a scout rifle for any of those things, but if you’re not planning to sleep under the stars on your way to hunt mountain goats tomorrow, there are other guns that are better suited for those tasks. If you’re looking for that one “general purpose” rifle that can do all of the above, we can borrow a lot from Cooper’s ideas, but shouldn’t limit ourselves to the specifics of his scout concept. For instance, contemporary shooters seem to have adopted the AR-15 as their default go-to rifle. Cooper would scoff at the idea of using an AR for self-defense and hunting, and is known to have called the M16 a “poodle-shooter”. 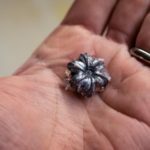 However, today’s bullet choices make the .223 more versatile than ever, and it’s proven to be pretty effective on small and medium game, including The Most Dangerous Game of All. For a little more punch, we now have other excellent options in the AR platform like the 300 BLK and 6.8 SPC. An AR in .308 Win or similar battle rifle will put you over the scout weight requirement, but not necessarily by much. I think the scout rifle is a pretty cool concept. I want to like it, and practical considerations aside, I find the idea of a well-designed scout rifle to be far more interesting than any space age black rifle. If our political situation goes down the toilet and I’m one day forced to choose a manually operated action as the only rifle I can legally own, toward the top of my list would probably be something that looks very much like a scout. But fortunately, I’m not faced with that decision. When I start thinking through what I’d actually use a scout rifle for today, there always seem to be better options that come to mind for any one of those tasks.